Radio Australia reports Peter O'Neill, Prime Minister of Papau New Guinea, has demanded that Anglo-Australian giant BHP Billiton grant PNG control over appointments to the board of the PNG Sustainable Development Program Ltd. (PNGSDP). "I think BHP should take its leave at some stage. I'd rather it be sooner than later. BHP has to learn that it has to move on," O'Neill said. PNGSDP was formed in 2002, when BHP Billiton divested its 52% shareholding in Ok Tedi Mining Limited. PNGSDP currently holds assets worth $1.4 billion including a 63% stake in the massive Ok Tedi copper and gold mine which is nearing the end of its life. The PNG government owns the rest. PNG Mine Watch reports PNGSDP is considering buying into Xstrata's Frieda River copper and gold project by bringing the PNG government on board. Xstrata in June said it was looking for a buyer of its 82% interest in the Frieda River, not saying anything more than the decision is part of an "ongoing review of operations." The Swiss miner has spent more than $250 million on the project and is walking away from one of the richest copper-gold deposits on the planet. Frieda River – described as Ok Tedi "30 years ago" – boasts a resource of about 12 million tons of copper and 18.5 million ounces of gold and is only 70km north of the Ok Tedi mine. PNGSDP already owns a small stake in Frieda River via its shareholding in explorer Highlands Pacific which it acquired in June this year. 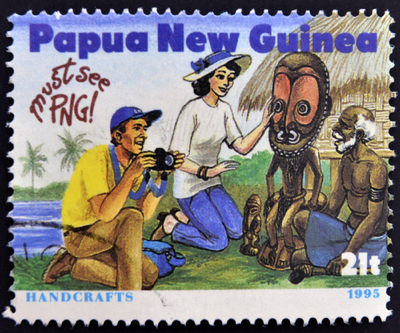 In June-July PNG held its eighth election since independence from Australia in 1975. O'Neil was caretaker PM during the transition.